Confused about baby food maker? Here is a comprehensive guide on buying the best baby food maker. Your child will be required to start normal food as he gets bigger. Getting a suitable baby food maker can greatly reduce the time you spend during the preparation of your baby’s food. Just like other small home appliances, there are a lot of different brands of baby food maker available in the market for you to choose from. It all depends on your personal preference in addition to the type of food you want to prepare for your baby. Your choice of best baby food maker may also depend on your budget and the quantity of baby food you intend to prepare at once. A number of baby food makers provide additional features like recipe book, an all-in-one steamer and blender, suitable storage cups and serving trays. One thing again to bear in mind while preparing your baby food is that it doesn’t have to be a case of “all or nothing” food preparation. You need to consider your baby’s taste buds, her tummy and health. Definitely, your baby would more likely be happier with fresh and wholesome foods that you prepare for her. However, your baby would prefer a happy and relaxed mother than when you get yourself too worked up regarding what and what you incorporate into your baby food. There are different forms of baby food maker. We considered the various forms to come up with our choice of these five best baby food makers. 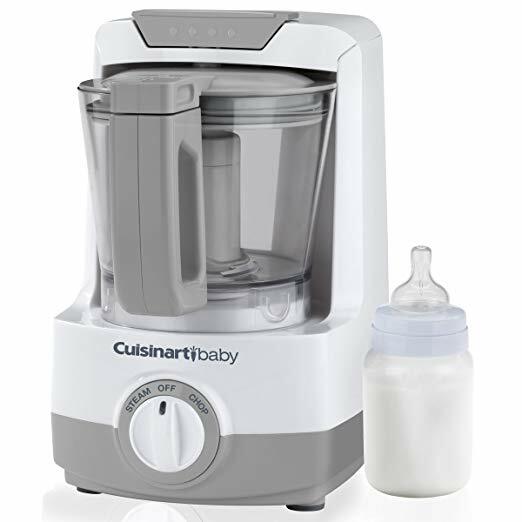 A few baby food makers are all-in-one like the Cuisinart BFM-1000 & Bottle Warmer and Beaba Babycook Pro Processor & Steamer. All-in-one food makers are very good option for parents who want to get a single machine that would perform all cooking action without having to steam the foods on the stove or roast them in the oven. These forms of baby food maker are very effective but they occupy a good amount of space in your kitchen’s work top. They are also more costly and take more time to clean them properly. A few baby food makers come in the form of electric blenders and food mills. Electric blenders and food mills are best baby food maker for parents who don’t feel that all in one food maker is very necessary. They are happy to cook their food on the stove or in the oven before sticking them into the blender. These forms of best baby food makers can help you prepare large or small quantity of baby food at a time and are also easier to clean. They are as well much cheaper than the all-in-one baby food maker. However, these machines have more trouble grinding coarser and thicker foods very well. There are also some baby food makers that fall within the manual category. Manual baby food makers are best baby food makers for parents who want to prepare only small amount of their baby’s food. This type of food makers cannot properly grind larger or more fibrous foods. Bearing all these factors in mind, therefore, we made our pick of these five best baby food makers following Amazon customers’ review, their functionalities, how well they sell at Amazon and the additional features that comes with them. This Infantino squeeze station allows you to speedily and simply prepare your baby’s most wanted food. It also allows you to store your baby food in individual squeeze pouches if you wanted to. It is good for home and also good when you are on the go. With the pouches, you can store the prepared food or serve the food to your baby. Beaba has been one of the world’s best producers of homemade baby food makers. 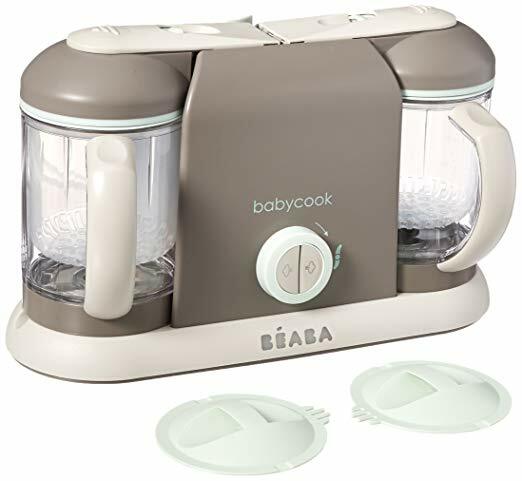 The babycook pro is the best selling product in the Beaba line of baby food makers. The Beaba babycook pro saves you time and money by making 17+ servings of baby food at once in less than 15 minutes. With the built-in steamer, the quality of your fresh food is sustained. The vitamins and nutrients are locked in while cooking. The babycook pro is the all-in-one best baby food maker that makes it easy for you to cook, blend, defrost and reheat your baby food. It is made of smart design which allows you to operate the food maker with one-hand. It alerts you when the food is finished cooking. · Cook and process fresh baby food within 15 minutes or less without any addition of preservatives. · It helps you to steam, blend, reheat and defrost your baby food. · Baby-safe has automatic shut off with easy to hear alert. · It doesn’t contain any destructive BPA, lead or phthalate. · It is made up of stainless Steel Water Reservoir. Cuisinart BFM-1000 Baby Food Maker is a very quick and simple way for parents to turn any food of their choice into healthy meals for their baby. The unit steams and purees in one bowl. It has a 4-cup work bowl which can help you to prepare and store lots of leftovers, which you can refrigerate for future use. It comes with a built-in bottle warmer that heats baby’s bottle to the suitable temperature. It comes with Cuisinart Baby recipes in the recipe booklet in addition to a spatula, bottle adapter ring and an incorporated measuring cup. 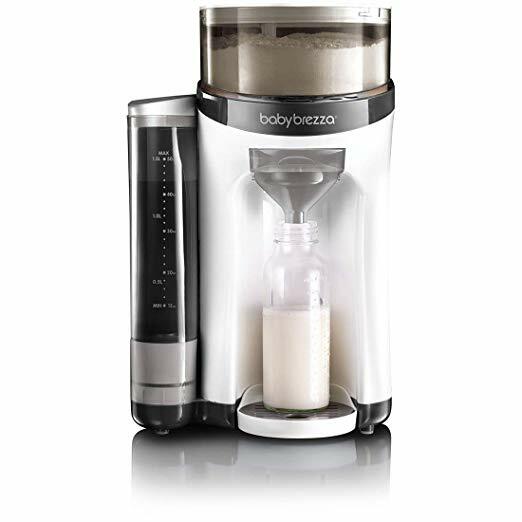 Baby Brezza One Step Baby Food Maker helps you to prepare your baby homemade food within minutes. It is patented and multi functional baby food maker which allows you to steam and blend fruits, vegetables, meats and fish in one bowl readily and without difficulty. Within just 15 minutes, you can have a healthy, nutritious and delicious meal ready for your baby. · It is easy to use. All you need to do is add your ingredients and position your steam time, and the food maker will take it from there. 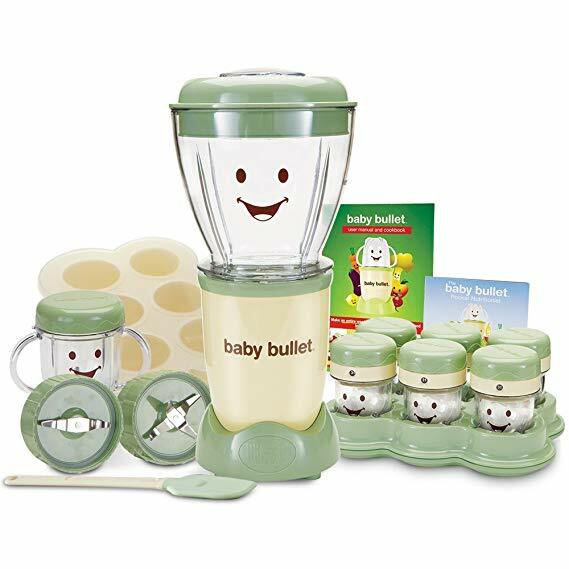 Magic Bullet Baby Bullet Baby Care System allows you to make a whole week’s portion of healthy and nutritional food for your baby in less than 5 minutes. It comes with power base, batch bowl, baby blend blade, milling blade, easy pop silicone batch tray. It is made up of 6-date dial storage cups, spatula, 1 short cup, 1 stay fresh re-sealable cover and tip proof tray in addition to user manual. · It saves time and money by making available freshest baby food possible! · It doesn’t contain any hidden ingredient or fillers. It doesn’t contain preservatives or sugar. · It is easy to wash.
Purchasing the best baby food maker entails more than merely selecting a suitable one. You need to as well consider if you are capable of preparing your baby food yourself. Making food for your newly born needs a lot of commitment especially as it is her first time of being introduced to solid foods. If you are equal to the task, we are certain that one of these picks of best baby food maker will definitely do the trick for you. Whatever is your choice, you need to bear in mind that preparing your own baby food ought to be a process that will make available the required nourishment to your child.